Near the end of my stay in Hawaii, I visited Dennis and Carol Gonsalves in their modest home in the suburbs of Hilo. Dennis greeted me outside as evening was approaching and the tropical winds had settled into a gentle breeze. He showed me his latest project in the garage — finishing the kitchen cabinets for his childhood home in Kohala. Carol welcomed us as we entered her home, and then led us to the family dining room where we would sit and talk for the next two hours. Despite the passage of the anti-GE bill in Hawaii, Dennis Gonsalves knows the debate about GE crops in Hawaii and the rest of the world is not over. Recently, he joined a foundation-funded project to control an insect-transmitted virus in cassava, in which genetic engineering approaches will be used. 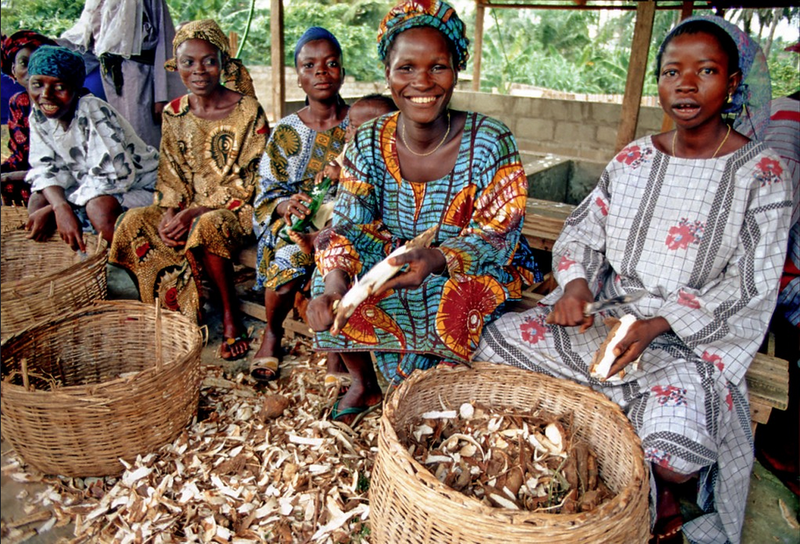 Cassava is a staple crop for half a billion people in the developing world. Dennis and Carol wonder if the fallout from the legislative decision on the Big Island will affect the cassava project. They wonder whether this kind of legislative action will be replicated elsewhere and affect the dozens of other GE crops in various stages of development, including drought-resistant maize, flood-tolerant rice, biofortified crops and disease-resistant potato. Dennis Gonsalves knows well the social and political consequences of not being able to control plant diseases. As a student he had learned about the Great Irish Famine in the mid-1800s caused by a fungus that destroyed the potato crop, resulting in over a million people starving to death and another two million forced to emigrate. As the conversation continued, the couple recalled their roots on sugarcane plantations and how their upbringing instilled in them the strong desire to help farmers in Hawaii and throughout the world. Both were as excited as school children in describing how the first GE papaya seeds were distributed to farmers in Hawaii in 1998, and the joy they felt when farmers harvested non-diseased papaya fruit the next year. As the evening was ending, Carol asked if I’d like to hear them sing a Hawaiian song, something she says they often do together. 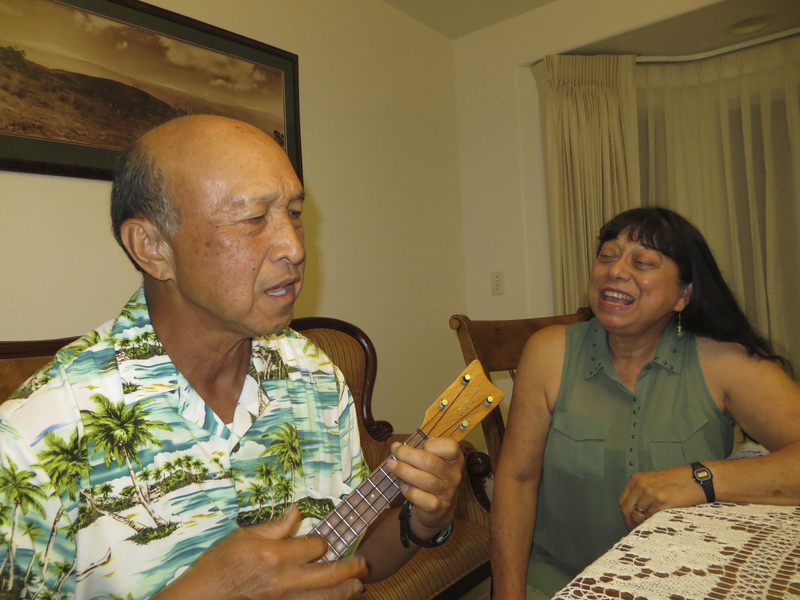 Dennis went into the next room to find his ukulele, sat next to Carol and started strumming a few chords of the popular medley of “Somewhere Over the Rainbow,” by Israel Kamakawiwo’ole, the revered Hawaiian singer simply know as ‘IZ’. I glanced out the window at the lingering sunset and then turned my full attention to Carol and Dennis who were singing this haunting and beautiful song. I wondered whether there would be a good ending to the story about the GE virus-resistant papaya that Dennis created that saved the papaya industry in Hawaii — the fruit he so hopefully named ‘Rainbow’ papaya.